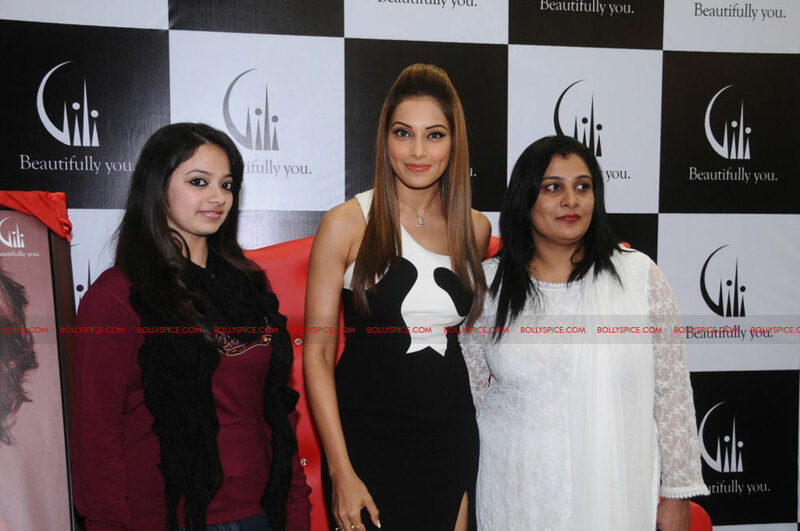 Bollywood star Bipasha Basu, ambassador for Gili, India’s first diamond jewellery brand, dazzled Bangalore on 15th December when she visited the Gili World outlet in the city on a short promotional tour. At the Garuda Mall outlet, Bipasha crowned Deepthi Khambam, Lubna Rehman & Dr. Sapna Shetty as the winners of Divas & Diamonds. The three winners were delighted to have a chance to be photographed modelling alongside the dusky beauty. The store had been running a special promotion from December 1st – 13th, under which any woman who visited the mall could come to the store and have her photo clicked wearing a piece of Gili jewellery. The three winners were selected through a lucky draw. Bipasha also unveiled the new Crown Collection, a range of rings, earrings and pendants where the centre stone is a solitaire surrounded by smaller diamonds put together on the crown of the ring. It’s a classy and sophisticated collection that makes the wearer feel like a queen. “Women across India have preferred Gili jewellery for the last decade and more. There are a variety of collections that are suited for different moods and occasions, and the varied personalities of the modern Indian woman,” says Bipasha. “The Crown Collection is another dazzling collection from Gili which has the same exquisite look and the high quality workmanship that the brand is known for. It reflects our constant endeavour to create jewellery that will make our customers feel special, as we continue to expand our network across the country,” said George J. (GM-Retail, Gili). The brand also announced that South India would be an important centre of its planned expansion. Gili plans to launch 45 new stores by June 2012. Two of these stores will be in Bangalore. 17 queries in 0.441 seconds.